The most important step of the whole process is to correctly identify your device CONTROL CHIP and CPU, using wrong firmware or flashing tool may cause damage to your device, unscrew and open your device and write down all chip id's and motherboard numbers you see, you can also try the EasyChips - firmware identification utility but it did not worked for me. In my case the chipset was Sunplus AJ262-V7 and the utility needed to flash it was FRM Pro. Once identified you need to connect your device to computer via USB in camera mode (Press A + OK button and plugin USB cord on player), for Windows to identify this mode you will need camera drivers you need to point Windows Found New Hardware Wizard to Driver folder downloaded with the FRM Pro utility above, this will install the first camera driver, for correct identification by flashing utility you need to install a second camera driver - open Windows Hardware Manager and install unidentified camera device drivers by pointing the driver wizard to Driver folder used earlier. Now install and launch FSM Pro flashing utility and follow these instructions to install the new firmware. Great work!!!!!!!!!!!!!!! but can you solve my prob. I'll be waiting for you reply..
Windows Xp does not Detect as The Camera drivers. 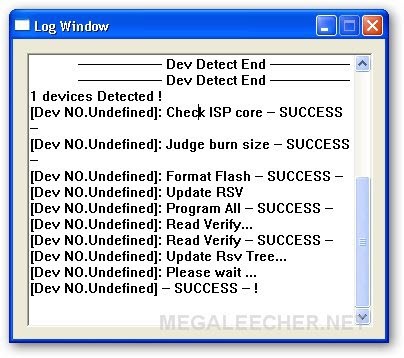 it seems that you havent back up your device,go to advanced,click rsv>set working folder>after setting>Click RSV>RSV info>Click A>Get >click B>get B>Click Firmware>Get >Click Firmware>set firmware>click working fo;lder>refresh tree>go back to basic tab>click on isp!!! how about information on how to solve/repair a unit with flashing interrupted,and now when im backing up it is stuck in RSV Info and nothng more..
Can any One Tell about The Driver Where I Can Download Becouse FRm Pro Driver Is Not Use . Or How I Connect Ipod In The Computer (A+OK Buttun ) I Can Use These Buttun But No respons So Plz Help Me.......................? bro ung mp5 mo ba indi nag poproceed sa main menu ??? How to repair, my screen MP4 player is bad and display raster. my device just show the logo ( it usualy shown when the player booting up ).but , my device is steel shown that, can't go to main menu. 1. how to flash it? 2. how to upgrade / repair it? When I first got it it worked fine. I made no changes to it but a week later it refused to play ANYTHING. All I get is DISK ERROR. That includes photos, videos, MP3's, and even the games that were pre-installed on the unit. I tried reformating the disk, no help. There is a reset button in the back of the player, no help. Here's the wierd thing, and I've owned several of these things: usually the problem is the device not interfacing with your computer, that IS NOT the problem. You can plug it in, go to DISK G (the drive I assigned it) and all the files ARE THERE!!!! It's LIKE a large flash drive that stores all the files you tranfer to it, it just can't play those files itself. You can play those files on the computer from the device so the data is uncorrupted, IT'S IN THERE!!!! The device just won't play anything. I've tried changing all the various SETUP settings and NOTHING helps. Again, I have owned about 5 of these things. Soem work perfectly, some don't interface with my computer, but I have NEVER had this problem before. Ideas? Thanks. Two set of chipset written on the board, what to choose? AJ262-V5 080806 is the one written on the front, AJ262-V4 080806 at the back. So what am I suppose to download v5 or v4? No message on "Dev Detect Begine"
Can you Please assist i have installed all drivers and followed your instruction even than i am not detting any message in Log Window. I am trying it on Windows XP. Even I dont know which chip my ipod have. How do you got your chip let me know. You are my last hope!!!!! I want to FRM Por software. i want to Frm pro software. -i found the firmware on google.com inder 4share link. -i 'm looking for: what the hll are these chinese drivers! you get to driverMAx.exe,you can download it from this page,the link at the bottom of the page. hardware" under "drivers download info"
drivers of the 2 camera drivers. i 'm waiting for results. FRM Pro - illegal (38)--! Please Give me This Device spmp3055A-hl171 cam driver i have also this device in this i want to update my firmware but No Device Detected ! message is coming Please Please Please Help Me my Mail ID is " attharp@gmail.com "
UPLOAD FRIMWARE FOR PL24-3052-TJLT8-V1.2 ON MIDIAFIRE. i have a mp5 but i cant use it anamore bec. its hung up. i need to re pogram my mp5 but how. plssssss helppppp me.my mp5 is? xhm 7678f what is the exact FRM PRO that i can use to re program my mp5 pllllllllllssssssssssssss help me? im woried of my mp5 it dosnt work. bec? its hung up? and i need to reprogram or flashing it but how? what is the exactly FRM PRO that i can use my pmp is Xhm 7678f?plss help me just send me at wenzque_24@yahoo.com. plsss plss plss????? please give me the firmware & all necessary software of my camera & LCD. i hav a mp4 player and chips are ak1025 and hy27ht088g2a. my player don't connect to my computer. it only restarts. i can hear the fm radio but when i try to open any music files it says "empty disc" . i can't formate it. it's disc space is always full. please help me my mp4 are dead please give me a solution. I have exactly same player that you showed in the pic. Plzz give me the firmware file. need help to get mp4 player to work.i put disk in and i cannot get media player to reconize it.can someone help.e-mail me butlerbrett@live.com. I am sure that your players will work again, but flashing/reprogramming of mp4 players need some experience, try, try and try again, you will win. I*m owner of the never china MP4 player too. Also my player froses sometime on welcome or in the middle of playing some "strange" video. (Otherway it works fine)The solution is simple : let it go out of power and connect it back to PC when it*s totally empty. It*s work fine to me. I*m unable to identify my BOARD ID, the only regognizable chip number is on the biggest one chip ATJ2237 ( Thttp://bbs.mydigit.cn/read.php?tid=142970 ), but it seems to be control chip ?! i wanna installion firmware for sony mp4 n jxd mp4 pls show me aphoto n software . hi i need a software for my mp4 its already dead.. what should i do .. pls anybody can help me with this. my mp4 was already dead my contrl. chip no. is sunplus spmp3052a-hl171-0731 and camera is st3303.. i need the specific on how to reformat ... pls. pls. pls.asap. 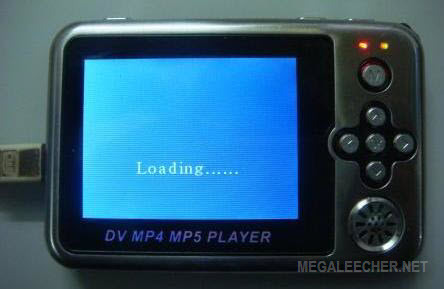 my difital mp4 mp5 player is not play game video mp3..
i need it, very important. i haven't no firmwares and softwares. Please help me!!!! thank u in advance!! have you got the firmware ? can you share it with me ? reply please..
Hmmm, surprised to see these things are still in use. hahahah, yupp. i have my Mp4/Mp5 from last 8 years.... and don't know what i can do to revive this. but still hoping for the best. MP4 Digital Player qui reste bloqué ?! 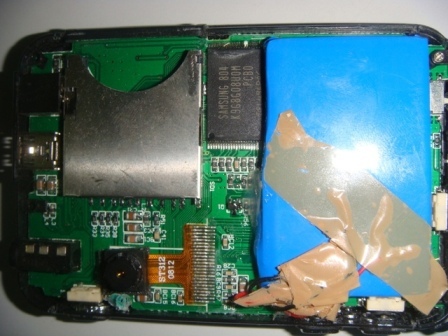 Bonjour tout le monde, j'ai acheté un MP4 Digital Player qui a bien fonctionné 2 mois puis là il reste bloquer avec un écran bleu + un sablier qui reste figé ? je ne sais pas comment faire RESET, j'ai même utilisé HP USB Disk Storage qui ne veut pas marcher non plus...à l'intérieur il est noté sur des puces AK 1025 et puis l'autre Sumsung 843 K9G8G08U0B PCB0...j'ai même acheté une nouvelle batterie Nokia BL-4C...je suis sur Win xp...Pouvez-vous me dire la conduite à tenir pour le débloquer avec un grand merci d'avance. I don't know Firmware Versions and Tools to repair it. hi friends tell me from where i can download the Image A and B because i am not able to get A image or B image from the player. i have FRM Pro1.2.0 and firmware in *.BIN file. but i do not know what is and where is problem just the thing is A B images. When I plug it in to my usb port, my computer does not recognize it. I know that when you plug something into a usb port, there should be a file that you can pull up with player info and what-not, and the player wont even turn on. Any ideas of what I should do? Anyone out there know where to download games for this china made Sony PSP??? I accidentally default setting and all games deleted....thank u very much! Plz email-rrvk888@gmail.com if u have any info ...thnx again! hey my mp4 player starts but dont show the recently added files and recently added photos and show them as curropted file..pls help me..
my chines mp4 show only starting monogram and still when i on the mp4.please told me any solution. HOW TO FIX MY PMP? pls help me what to do!!! when i click on isp button then all process successful but last process says image file file not supported. please help me and give the firmware. I'd like to get sony/jxd/SYH firmware and software. I also don't know how to use them. How can i know which is control-chip or CPU number? i have a soney mp4 player. when i connect to computer, nothing come up. My computer does not recognize my ipod device. Can you tell me how to get the computer to find the device? the ipod turns on and only says Welcome. It will not go to the home screen. Please let me know what will work on the Chinese copy of the ipod touch. Anyone can help?I have an infamous chinese mp4 player.After an unexpected self-restart,it become a silent device.Only FMradio work properly.Am I have to flash my mp4?And where can I get the flashing software?Please sent link to lonelydre4m3r@yahoo.com. What font is using in this. sir my digital mp4 player is still on loading..please help me. using ACTION ATJ2237D. Features are just standard MP3 with Image file of photo. Do you have any ready set and related data? Also let me know the cost. I have mp4 player spmp3055a-hl171. but i need camera driver. i have bkeestar bp503v10 mp4nd its chip is hynix H27UAG8T2ATR. BC 943Ashows white screen nd then hanged.How i can flash and upgrade its firmware and where?????? i cannot install "MMcatch(VII) Video Camera Device" Driver...plss..help me..i've already install icatch(VII) still camera device...my OS is windows 7..
AS211A_V1003 - where can we get this version of FW for chinese Ipod nano 4g? During switching player on - it’s only a fast blink on the screen, and then nothing, no loading. what firmware will i use for this??? I HAVE UPDATED MY FIRMWARE MANY TIMES BY CONNECTING WITH THE PC. I HAVE ITS DRIVER ,PROGRAMS AND FIRMWARE ETC. ONE DAY WHEN I WAS UPDATING THE FIRMWARE BY PRESSING TE KEY COMBINATION IT WAS DETECTED BY MY PC. BUT WHILE UPDATING I HAVE DISCONNECTED FROM THE PC BECAUSE IT WAS TAKING LONG TIME. SINCE THAT DAY I AM UNABLE TO CONNECT IT AGAIN TO MY PC.WHENEVER I CONNECT IT IS NOT RECOGNIZED BY MY PC.AT THAT TIME I WAS NOT AWARE THAT WHILE UPDATING FIRMWARE PLAYER SHOULD NOT DISCONNECT. CAN ANYONE HELP ME WHICH PINS OF FLASH HAS TO SHORT CIRCUIT OR WHAT TO DO SO THAT IT CAN AGAIN DETECTED BY MY PC. I am saad from islamabad.My mp4 chip name is ATJ2237T i also found its firmware.but when i connect it to pc via usb hub it shows me as a Actions Usb 2.0 but its not showing me as a memory device so i could install firmware.when i connect it with charger its Charging light(yellow light) turns on but its lcd doesn't display anything. Dear sir i have 1 mp4 player like this when i press the power buttom it always show "liting your life" then nothing happen. keys r not working what to do sir plz tell me ta solution. I need a firmware for my Jess Q MP4/5 player. Where on web can I find it? I cannot find anywhere the firmware and flashing utility that match my Mp4 Digital player. May you guys help me please? and i want to start is show only LIGHT YOUR LIFE and after nothing else is hapend,what i do for reability? i instaled FRM but i dont now how to work step by step,and firmware i think i need for my pmp,my device is conected with usb to pc and detected IIcatch video and MMCATH video driver found and instaled but i dont now how to proced to put firmware and in frm detected 1 device but i receive vendor comand... and eror code 39-40 isp path error and what i do next? I want to change the splash and update the firmware if possible.. Thanks. on its CPU! but I coudent flash it! I have to say, My problem is that After a while my device didn't work and just is showin a massage that "The system is broken..."
hello sir, i have jxd 692 and its firmeare too... but i cant install driver . thats why its show me no device detected.. so please tell me how can i put my jxd692 on camera mode.... plz sir its urgent.... plz help me..
Sir, I recently bought a SAMCOM MP5 video Circuit board to build my own MP5 video player. When i connect this player to TV it shows a blue screen with menu logos of the player on the TV screen. I want to change that blue background displayed on TV and make it to display my photo with the player's menu logo icons on it. Can someone please help me how to do that? Is there any possibilities that I can re-program any of these ICs as there is no port on the Circuit board to connect it to PC for data transfer or firmware update. It has AV out, USB connector for attaching Pen drive and a micro SD card slot all as inputs. please let me know if you want any picture to understand it. Hoping someone will answer me soon. my mp4 player is stuck. when i turn on my pmp, blue screen with loading icon appears. i have downloaded firmware but my pmp is not detected. please help. Mine is a grand classic gcl-01 PSP.